Structural investigations in the northern part of the Bergen area (western Norway) have been carried out on the major, 2-3 km-thick, late/post-Caledonian, extensional Bergen Are Shear Zone. This shear zone dips steeply SW with a change in strike from 115-120° in the northeast to 150-160° in the southwest, over a distance of 50 km. The footwall consists of the autochthonous Western Gneiss Complex and the lowermost Caledonian Nappes. The hanging wall consists of structurally higher Caledonian Nappes unconformably overlain by coarse Devonian conglomerates. The orientation of the mylonitic foliation within the shear zone, in addition to several types of shear-sense indicators, predominantly indicate a dextral shear component. The related stretching lineation plunges about 20° W to NW, implying a significant component of normal slip, as indicated by the regional geology. The minimum displacement on the Bergen Arc Shear Zone is approximately 16 km, with a normal dip slip component of 8 km, and a dextral strike slip component of 14 km. The Bergen Arc Shear Zone post-dates all Caledonian contractional deformation in its vicinity. We suggest that the Bergen Are Shear Zone represents a branch of the Nordfjord-Sogn Detachment Zone, the main Devonian detachment, developed as an oblique-lateral ramp. 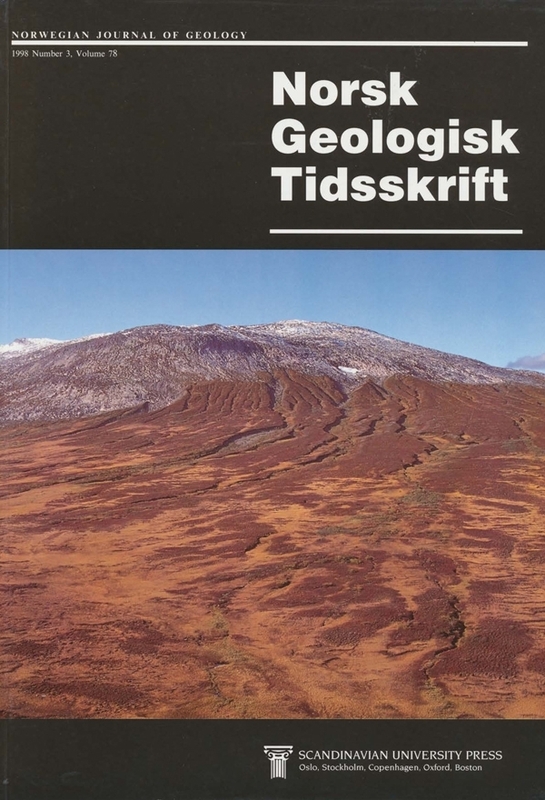 O. P. Wennberg,* A. G. Milnes & I. Winsvold, Geologisk Institutt, Universitet i Bergen, Allégt 41, 5007 Bergen, Norway. * Z & S Geologi a/s. Sverdrupsgate 23, N-4007 Stavanger, Norway.